Measure-Tech, Inc. exists exclusively as a service provider. We have no product lines other than our people. We take great pride in servicing our diverse customer base. Without you there is no us. It has been and will always be our priveledge to offer quality technical help with the intent to assist you in solving your instrument related needs. In our house or in yours, we calibrate where you need us. Field instrument calibrations, loop tuning, man-power coverage, start-ups and shut-downs, troubleshooting, SS tubing and special instrument related building and installtion projects, in-house evaluations and repairs. 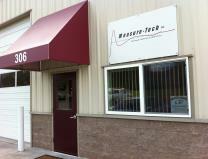 Measure-Tech, Inc. has been operating in the Pacific Northwest for over 20 years. We travel from Alaska to Utah responding to the needs of our customers. Instrument technicians are available for your site immediately.